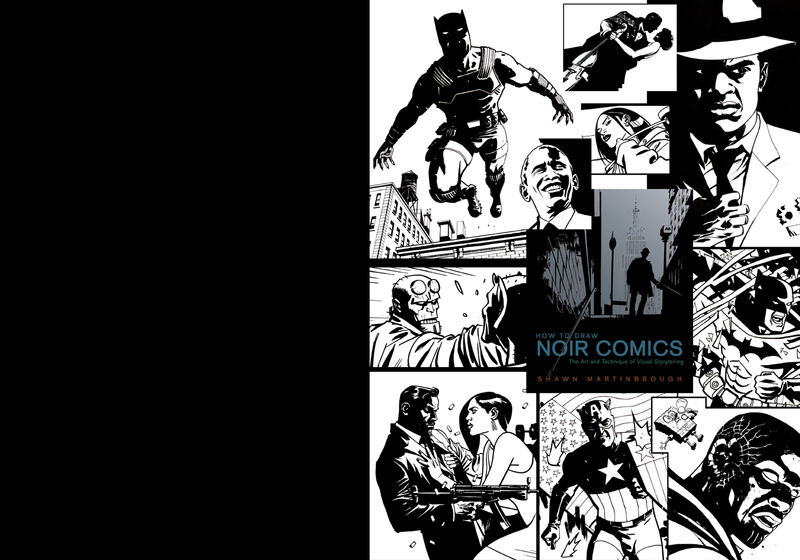 In “How to Draw Noir Comics: The Art and Technique of Visual Storytelling”, Shawn Martinbrough shows how the expert use of the color black is critical for drawing noir comics. Shawn demonstrates how to set a mood, design characters and locations, stage action and enhance drama, and discusses important topics like page layout, panel design, and cover design. How to Draw Noir Comics includes “The Truce”, an original graphic novel story written and illustrated by Shawn, which incorporates the many lessons addressed throughout the book. To promote the book’s release, Shawn directed and produced a commercial filmed on location in New York City. Watch the video below. “How to Draw Noir Comics: The Art and Technique of Visual Storytelling” is published by Random House and reprinted in several languages around the world. The book is available now at Amazon.com.